Home › FAQ › How Do You Apply for Scholarships? 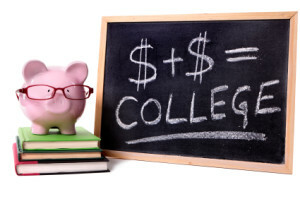 Many students start looking at how to apply for scholarships as soon as they apply for college or even before they apply. They don’t realize that every scholarship out there has different requirements and that there are no two scholarships exactly the same. Some might award you money for your artistic, writing or musical schools, while others give students money for being part of a certain cultural group or playing a specific sport. Though all scholarships are different, there are some tips you can use before you apply. One of the most commonly asked questions from students is where they can find scholarships. Certain scholarships are only available to students who are part of a high school band, choir or sports team. Colleges will actually recruit those students and offer them scholarships because of their skills. Once you submit the FAFSA to your university of choice, the university will use your information and determine if it has any scholarships that relate to you. You’ll then receive details about those scholarships through the mail. You can also check websites that compile scholarships and see if there are any that interest you. Federal Student Aid, an office associated with the United States Department of Education recommends that you read the instructions carefully after finding a scholarship. The instructions will carefully lay you what you need to do and how to apply for scholarships. Make sure you pay special attention to the application deadline. If you are even one day late turning in your packet or with handing in required paperwork, you no longer qualify for that scholarship. Also pay attention to any support documents you need to submit, including a high school transcript or a copy of your acceptance letter to college. You must meet all requirements associated with obtaining a scholarship before you apply. One some are fairly easy and only require the completion of an application packet that asks you basic questions, others require an extensive essay that you write on a given prompt. Skill based scholarships may also require an audition or an interview. You might audition in person or submit a DVD that shows your skills. Scholarships that require an interview often ask that you meet with a department representative in person on campus, but some will let you complete the interview over the phone. While looking at how to apply for scholarships, you may also want to give some thought to how you can avoid common scholarship scams. One scam that many students fall for deals with scholarship companies. These companies promise that if you pay a fee, the company will then find scholarships for you. All you typically receive is a list of scholarships that you could easily find for free online. Other scams require that you pay a large fee to apply for a program. A good and reputable scholarship program will only give students money and will not require that students pay any money upfront. Scholarships essentially provide students with free money that they can use to pay for college and their other educational needs. Students can apply for as many scholarships as they want, but those who want to know how to apply for scholarships should read the instructions carefully and know that most scholarships require different things of applicants.